Dr. Angelica Rohner and her staff are committed to providing to Birmingham area families the best kids dentistry possible. Hygienic cleanings and check-ups, extractions, state of the art diagnostics, and sedation dentistry ensure your children’s teeth, gums and bone structure develop correctly and stay bright, attractive and functioning for their lifetimes. That’s the heart of pediatric dentistry. It’s all in one bright and happy dental office in Birmingham. 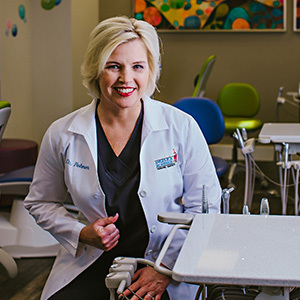 Among other professional associations, Dr. Angelica Rohner is a Diplomate of the American Board of Pediatric Dentistry and a member of the American Academy of Pediatric Dentistry. She brings her wide skill set to provide the best in preventive and restorative dentistry. Dr. Rohner’s team has a comprehensive approach to kids’ dentistry in Birmingham. Prevent problems at an early age–from the time that first tooth erupts at six to eight months of age to when a child loses a baby tooth at around age six to when wisdom teeth start causing trouble in young adulthood. With this strategy, fewer restorative dental services are needed later on in life. Plus, gentleness and respect for a youngster’s worries and age-related needs are notable characteristics of this Birmingham dental practice. The doctor and her staff are available for dental emergencies as well: fractured or avulsed teeth, toothaches, and lost fillings. The entire team prioritizes pain relief and restoration of good oral function. Always call Dr. Rohner for immediate advice and same day appointments when needed. The dentists place pediatric restorations with the gentlest of care and offer sedation options to ease kids through their dental work. Nitrous oxide, or laughing gas, works well to relax children so they get the services they need. Dr. Rohner makes hospital anesthesia available on an outpatient basis for complex or lengthy procedures. The average age for orthodontic treatment is 11 to 14. Your pediatric dentist carefully assesses the number, bite and position of your child’s teeth so parents know if and when braces will become necessary. More than cosmetic correction, orthodontic care ensures healthy dental alignment through adulthood. Every child needs skilled dental care. Contact Angelica R. Rohner Pediatric Dentistry to arrange your youngster’s routine check-up and cleaning. We anticipate years of healthy smiles for you and yours.